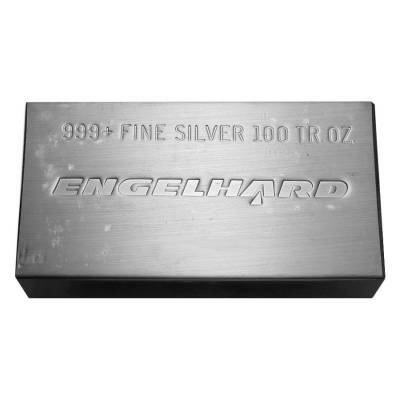 The 100 oz Silver Engelhard Bar is made from .999 Fine Silver. ENGELHARD is one of the most iconic and prestigious names in silver bullion. Produced mostly in the 1980s, and is no longer in production, Engelhard Silver Bars are among the most widely traded 100 oz bullion silver bars to this day. Due to its longevity in the industry, many people still turn to Engelhard first when looking to purchase silver. The featured bar is stamped with its details: purity and weight of 100 troy oz of 999+ Pure Silver, and brand "Engelhard." It also includes a serial number printed on the lower part of the bar. 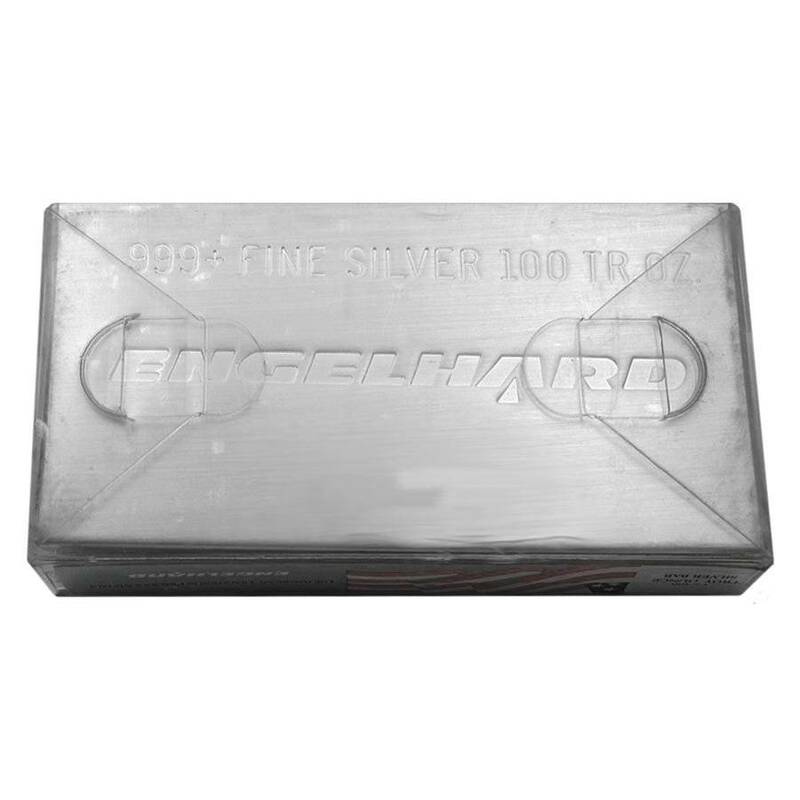 These 100 oz silver bars are a prominent feature in the bullion trade due the high quality associated with the Engelhard name. Engelhard Corporation was founded in 1902 by Charles W. Engelhard, and developed into one of the world's largest refiners of precious metals. The corporation accomplished many things in its long career, including the production of these 100 oz Engelhard Silver Bars. These secondary market bars come sealed in original plastic, and have potential for wear and toning appropriate to their age. With this purchase, you earn 1585 Bullionaire Bucks 1585 BB = $1.59. We currently have 14 of this item in stock. For every $1 spend, you will earn 1 Bullionaire Buck which is equivalent to $0.001 off a future purchase. 1585 BB = $1.59.